Manufacturer & Exporters of Alloy Steel ASTM A691 Gr.1 CR Seamless Pipe & Gr.1 CR Welded Pipe, Alloy Gr.1 CR ERW Pipes, Alloy ASME SA691 EFW Pipe Supplier in India. We are leading brand in the market of Steel products and exports and one of our known products include ASTM A691 GRADE 1 CR Alloy Steel Pipes. The most useful properties of ASTM A691 GRADE 1 CR Alloy Steel Pipes, which make them efficient, include features like enhanced strength, toughness, hardness, hardenability, wear resistance, corrosion resistance and hot hardness and our product has been manufactured to provide them all. We supply High precision ASTM A691 Gr.1 CR Alloy Steel Welded Pipe & high quality alloy grades pipes & tubes to Oil & Gas, Nuclear And Power, Aerospace, Chemical Process, Medical, High Purity and High Performance. 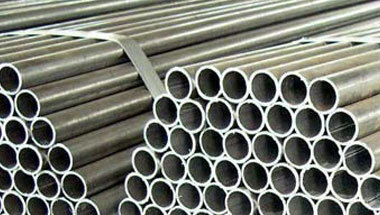 ASTM A691 1 CR Alloy Steel Welded Pipe also known as Seamless Alloy Steel Pipes "Chrome Moly" ASTM A/ASME SA335 Gr. 1CR. ASTM A691 Gr.1CR Alloy Steel Welded Pipe is High Temperature Pipes and Tubes & available in form of Round Pipes/Tubes, Square Pipes/Tubes, Rectangular Pipe/Tubes, Coiled Tubes, "U" Shape, Pan Cake Coils and Hydraulic Tubes. Alloy ASTM A691 Gr.1 CR High Pressure Pipe Exporter, Alloy Steel Gr.1 CR Fabricated Pipe, ASME SA691 Gr.1 CR SAW Pipe, Alloy Steel Gr.1 CR LSAW Pipe Manufacturer in India. Democratic Republic of the Congo, United States, Algeria, Venezuela, New Zealand, Trinidad and Tobago, Angola, Vietnam, Ethiopa, Australia, Thailand (Bangkok), London, Bahrain, Egypt, Brazil, Morocco, Chine, Malaysia, Russia, Indonesia, Iran, Jordan, Mexico, Houston, Nigeria, Africa, Saudi Arabia, Colombia, Argentina, UK, Peru, Cameroon, Italy, Uganda, Azerbaijan, Mozambique, Sri Lanka, Kuwait, Sudan, Ghana, Turkey, South Africa, Israel, Canada, Germany, Iraq, Dubai, UAE, Tunisia, Kazakhstan. Doha, Zaria, Kolwezi, Lagos, New York, Lusaka, Lubumbashi, Muscat, Rabat, Kaduna, Douala, Nairobi, Byblos, Jeddah, Kinshasa, Dubai, Riyadh, Abidjan, Colombo, Cairo, Harare, Tel Aviv, Luanda, Kampala, Dakar, Tehran, Ibadan, Dar es Salaam, Port Elizabeth, Freetown, Mogadishu, Dammam, Beirut, Soweto, Conakry, Durban, Data from the UN, Mecca, Manama, Fez, Amman, Giza, Aqaba, Istanbul, Ouagadougou, Maiduguri, Jerusalem, Maputo, Bethlehem, Khartoum, Omdurman, Accra, Kano, Tripoli, Cape Town, Alexandria, Port Harcourt, Algiers, Sharm el-Sheikh, Subra al-Haymah, Abu Dhabi, Addis Ababa, Pretoria, Mbuji-Mayi, Johannesburg, Singapore, Antananarivo, Bulawayo, Bamako, Hong Kong, Casablanca, Yaoundé, Benin, Cairo, Brazzaville.